When it comes to running a small business today, one of the smartest things that you can do is outsource. Outsourcing in the industry has become the norm, and it’s an essential part of modern business management. If you want to stay on-point with regards to business management, then you need to know what you should invest in. For instance, what should you have as part of your business in-house? One thing that many small businesses are cutting from their list of things to have in-house is that of a receptionist. Once seen as an essential part of business management, you can find that a call answering service in Brisbane has become the ideal replacement. What does a call answering service offer you over the traditional receptionist member of staff? We’ll take a closer look at why a Brisbane call answering service would be worth your time and investment. If you are serious about doing more for your business, then you can use this kind of service to make the right calls and start improving how your business generally operates. Used right, a Virtual Receptionist in Brisbane can become a key part of your general day-to-day business management. They will help you to achieve so many tasks and will generally make it much easier for you as a business to get the job done that you had previously intended. 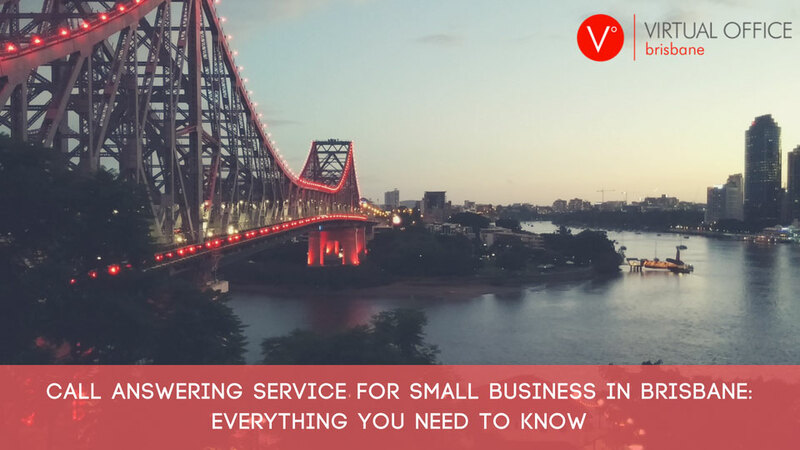 If you are unsure of where to start, you can look at the following and get a better understanding of why hiring a call answering service for your small business in Brisbane makes sense. • Help you run your business communications easier. If you are a business that cannot really make the most of its communication due to time constraints, then this can be a useful add-on to your team. • Ensure that you can book more customers. They can answer calls, answer queries (to a point) and set up appointments for you with those who call. Instead of being too busy to book them yourself, your team will. • Help with regards to time management. A Virtual Assistant in Brisbane is dedicated to answering the phone so that you can spend more time doing the things that you are best at. If you are not a natural salesman, why try and be one on the phone? • Help make sure that any enquiries that come your way are passed on. You might be too busy to answer the phone, or you might simply hear the phone ringing until it is too late. With a call answering service, the query is heard immediately, and nobody is left waiting around. • Improve your general quality of customer service. High-quality customer service is the lifeblood of any good business as it makes obvious sense that you should pay some (more) attention to the kind of customer service that you give out. With that in mind, you should find it much easier for you to get the right idea about hiring a call answering service. They do a lot of the grunt work with talking to customers, handling queries and arranging responses to complaints so that you don’t have to. 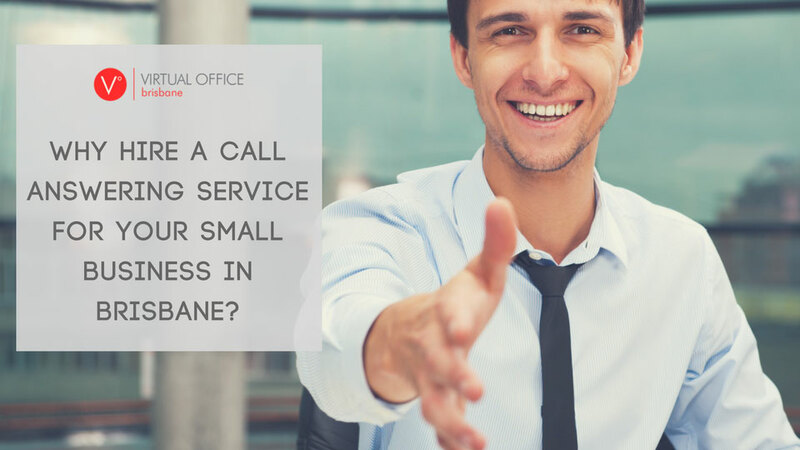 Outside of that, why should you hire a call answering service for your small business in Brisbane? What kind of benefits do you get out of doing this? There’s quite a few. Let’s look at why you should decide to make the investment in a call answering service over a traditional receptionist employee. Why Hire a Call Answering Service for Your Small Business in Brisbane? There are many reasons why hiring a Brisbane call answering service can make a lot of sense. Let’s look at some of the most important ones. These are make-or-break benefits that, in the right circumstance, could save or smash your business before it has the chance to succeed. • You reduce your staff size. While it would be nice to all run a business that can handle multiple full-time employees, it’s not cost-effective. Most small businesses can only afford the most key staff, meaning that finding the money for marketing, admin and support is quite tough. With a call answering service, you can make sure that you can reduce staff size and costs. • Minimize your expenditure. With that in mind, you can cut a good five figures per year off your staff expenditure. With a telephone answering service in Brisbane, the prices are often generous so that you can get a good deal when you sign up. If you are serious about making the most of your business, then you can find that you need to cut some costs. This means reducing the amount that you spend on staff, and a virtual call answering service makes perfect sense. • Capture every lead. When you are in the middle of a job, the last thing that you want to do is take a call. Not only is it a little unprofessional, but it can also leave you with a rather challenging issue in terms of taking jobs on when you are in the middle of a job. 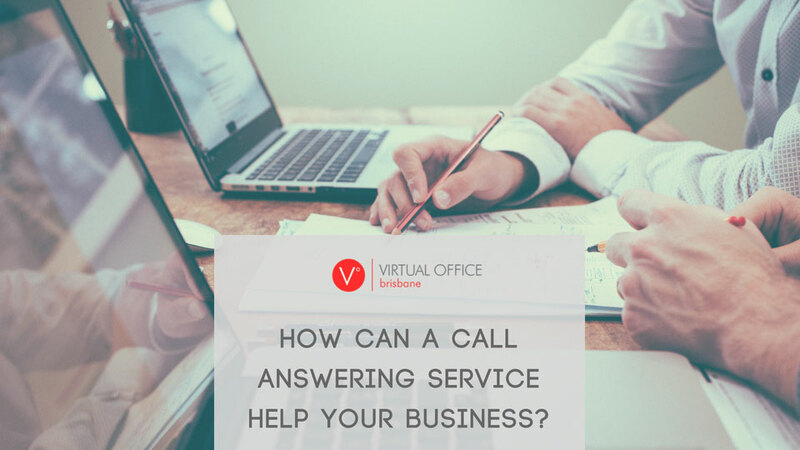 With Virtual Office Brisbane services such as call answering options, you have someone who is specially employed to do exactly that – capture leads. The end results? More jobs captured, and no stains being left on your professional reputation as you go. • Improve staff tone. When you are taking the calls yourself, you need to have a good ‘phone voice’ which many of us lack. There’s nothing wrong with lacking that eloquence or support-friendly tone to your voice. The only problem is that it can make it hard to land calls and convince enquires about your service that you are professional enough. With a virtual call answering service, every call is answered by someone who knows how to make themselves heard. • Sound more professional. Another main reason to have a call answering service is to gain professional appeal. People are judgmental and finding out that you work from your home office is something many people are put off by (despite being perfectly normal). When that happens, you can use a virtual call answering service to sound much more professional as time goes on. It helps to set the first impression, which can be essential to landing that job. It also won’t hurt your business to avail a Virtual Office in Brisbane as well. • Always available. When you are out of the office, perhaps seeing friends or visiting family, the last thing that you want to do is to go back into ‘work mode’ and take a call. You are entitled to have a life beyond your business, and a virtual phone answering service gives you that. Done right, this makes sure that you are always available and that your business never has to forego a potential lead because you are enjoying personal downtime. With all of this in mind, it should be easy to see why so many people choose to use a virtual call answering service. Of course, it matters more on how your own business can make use of a virtual call answering service. With this, it’s good to utilize the service the best way possible. Say you hired this kind of service; what kind of services could you have them do for you? What options are open to you moving forward? How Can a Call Answering Service Help Your Business? • Virtual Address. A Virtual Address in Brisbane is essential in many walks of life today. Not only does having an actual address for your business versus a home address sound better, it looks good to people who visit your website, take your business card, and the like. You can even have all your mail and deliveries sent to this address, forwarded to another address upon arrival for a small fee. • Virtual Receptionist. The main impact of a virtual call answering service is that it can deliver you with a cost-effective way to manage calls. It allows you to manage more of your own time dealing with the stuff that you are trained for, whilst giving you all the help that you need to juggle your own personal and professional time better. They do everything that we mentioned above; taking calls for you and making sure that your business always provides the most useful response possible. • Customer Support. Another useful part of the experience is being able to utilize their customer support skills. This helps you to get all the help that you need to really control your customer support needs, ensuring that customers are never left waiting for an answer for you. This makes it much easier to hit the right notes and ensure that customers always feel listened to and cared for when they get in touch. In relation to this, it’s good to have a 1300 number in Brisbane to make things easier for your customer. • Virtual Assistance. You could also use a call answering service to help manage your day-to-day admin tasks. They could be dealing with other things like e-mail support, research and analysis, support tickets and so much more. This makes it easy for you to spend more time doing the jobs that you love, and less time going over and over the same old stuff. For that reason, many people choose to hire and invest in a virtual call answering service. With so many different features and benefits to enjoy, you can get a huge amount out of utilizing this kind of service. In time, it might just become one of your most worthwhile investments. Money matters, so how much would you expect to pay for virtual assistance? While it obviously varies depending on the service that you need and the company that you hire, phone answering service in Brisbane is truly cost-effective. You can usually start out your journey with the company on a 7-day free trial, letting you see exactly how this kind of service might benefit you if you choose to hire it. At the same time, most of these services start from as little as $20/month. 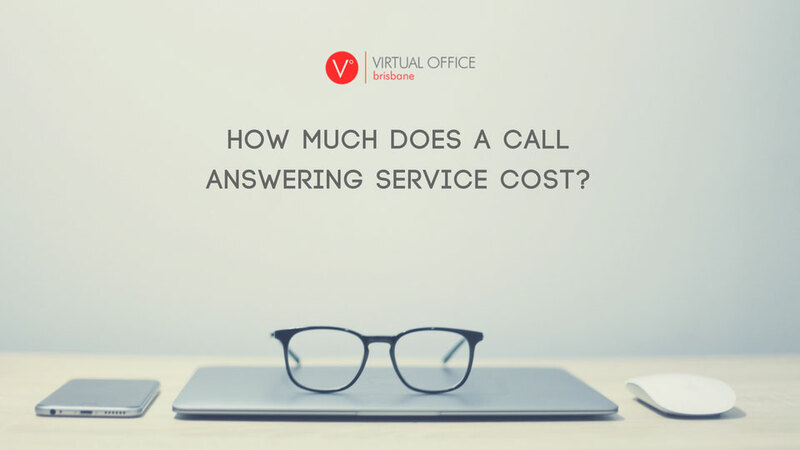 If you consider that this would be around two hours, at most, of a receptionist’ wage then you are in a good place if you can hire a virtual call answering service. Most of the time, they charge you around $3 per call, though some are closer to the $2-2.80 range. That makes it easy for you to engage with an interesting process that’s cost-effective. You might think that $3 per call is quite expensive but think of it this way, if 1 in 10 calls turns into someone hiring your business, it’s likely you’ll make a lot more than the $30ish that it cost to answer all those calls. With that in mind, you can get by with a decent conversion rate on calls and still make a huge cash profit from all the extra work that it brings you! With all the above in mind, you should find it much easier to start making smart decisions with regards to how you run your business. If you want to make the right choice, then you need to contact Virtual Office Brisbane today. Quickly, you can set up everything that you need to start really hitting home the benefits of hiring this kind of service. Now that you can see why it’s so useful, will you act? Learn more about Virtual Office services by reading the article titled “Is it Worth Investing in a Virtual Business Address in Brisbane?”.